Protect and grow your profits, enhance your reputation with customers and employees by embedding Corporate Social Responsibility at the heart of your business. Gill Pipkin Consulting will review your business, identify good practice to support your marketing and help you address areas where you are not making the most of resources. An organisation with CSR at its heart has a competitive advantage with customers and employees, benefits from lower staff turnover and control over costs. 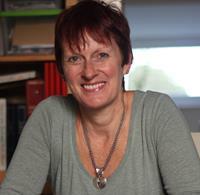 Gill Pipkin has over 20 years experience of sustainability in public and private sector organisations and has worked on projects as diverse as setting up a clinical waste segregation scheme to comply with Environment Agency regulations to promoting a year round wildlife programme for a major Cornish hotel. Along the way she has helped reduce expenditure on heat, light, water and waste disposal, supported local purchasing schemes and devised schemes for motivating and involving staff which led to improved morale and lower turnover. Whether you are looking for a full audit and support in applying for a Sustainability accreditation scheme, or just want some advice and guidance, Gill Pipkin Consulting will help you grow your business financially and environmentally.